After years of silence, Dylan Farrow, the adopted daughter of Mia Farrow and Woody Allen, published a New York Times letter detailing the alleged abuse she suffered at the hands of the Blue Jasmine director in 1992, as a 7-year-old. 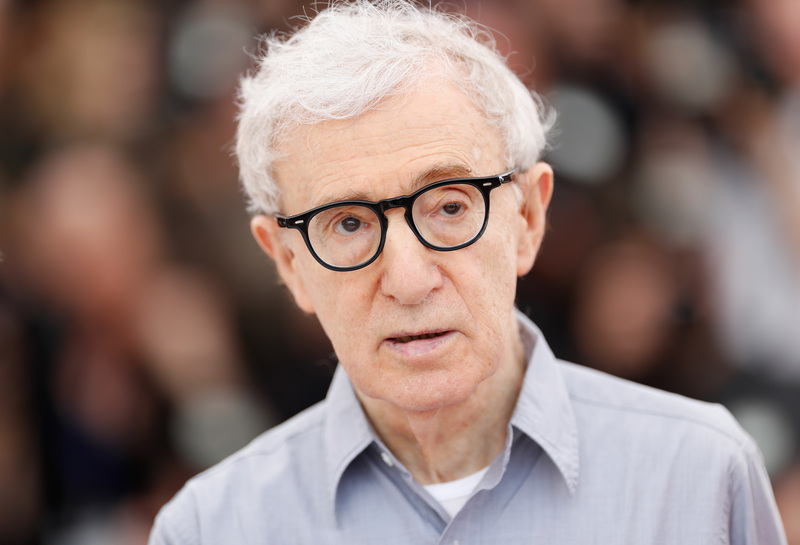 And, after years of silence, Woody Allen at last spoke out about the allegations that were directed at him decades ago, and continue to be directed his way following a Vanity Fair profile of Farrow, and several tweets from the Rosemary Baby 's actress and son Ronan Farrow. Dylan told the doctor she had not been molested. Mia then took Dylan out for ice cream, and when she came back with her the child had changed her story. The police began their investigation; a possible indictment hung in the balance. I very willingly took a lie-detector test and of course passed because I had nothing to hide. I asked Mia to take one and she wouldn’t. Allen also name-checked ex-girlfriend Stacey Nelkin, who was allegedly asked by Farrow to lie to authorities and tell them that she was underage when she and Allen started dating. Nelkin refused, and, during the course of the investigation, Allen notes that officials failed to find that the director was at fault for the alleged sexual abuse. Could it be any clearer? Mr. Allen did not abuse Dylan; most likely a vulnerable, stressed-out 7-year-old was coached by Mia Farrow. This conclusion disappointed a number of people. Disappointed, the director hints, Farrow and the media, who were eager to implicate Allen. And despite the fact that Dylan wrote in her letter that Allen's position of power in Hollywood helped him escape being charged by police, according to Allen, the authorities never afforded him any sort of leniency because of his celebrity status. In fact, as he wrote in his letter, the judge responsible for the case was "quite rough on me and never approved of my relationship with Soon-Yi, Mia’s adopted daughter, who was then in her early 20s. He thought of me as an older man exploiting a much younger woman." But, again, the letter focuses off of the director, and circles back to Farrow, who Allen mentioned "had dated a much older Frank Sinatra when she was 19." Though much of the letter is quite clinical — dissecting the facts of the case — Allen does appeal to readers' emotions during his letter. Though the director has failed to show any shame or regret about the family embarrassment to the public, in his New York Times write-up, he mentions that he was "heartbroken" following the ordeal. Moses was angry with me. Ronan I didn’t know well because Mia would never let me get close to him from the moment he was born and Dylan, whom I adored and was very close to and about whom Mia called my sister in a rage and said, “He took my daughter, now I’ll take his.” I never saw her again nor was I able to speak with her no matter how hard I tried. And readers get more insight into Allen's relationship with Soon-Yi than they ever have in the letter. The director noted that he "felt guilty that by falling in love with Soon-Yi I had put her in the position of being used as a pawn for revenge." To further support his point, Allen does, surprisingly, bring up Ronan Farrow's paternity, which became a subject of discussion following Farrow's Vanity Fair interview, in which the actress hinted that he could actually be Frank Sinatra's son, not Allen's. The director, in his New York Times letter, seems less concerned about who Ronan's actual father is, and more concerned about the idea that that fact could help exonerate him in the public eye. So what does this say? That all during the custody hearing Mia lied under oath and falsely represented Ronan as our son? Even if he is not Frank’s, the possibility she raises that he could be, indicates she was secretly intimate with him during our years. Not to mention all the money I paid for child support. Was I supporting Frank’s son? Again, I want to call attention to the integrity and honesty of a person who conducts her life like that. There's little doubt Allen will be criticized for the letter. After all, not only does it continue the victim-blaming that Dylan has been subject to since writing her letter, but it also denounces Dylan for speaking out not once, but twice, having already spoken to Vanity Fair about the alleged abuse. (Victims are only allowed to raise awareness about their struggles once, Woody?) And his inquisition as to whether or not Dylan even wrote the letter should invite more than a few side-eyes: "One must ask, did Dylan even write the letter or was it at least guided by her mother?" Still, the director finishes his letter by writing, "No one wants to discourage abuse victims from speaking out." There is, however, a but. "But one must bear in mind that sometimes there are people who are falsely accused and that is also a terribly destructive thing."